Ever wondered, How much of my content is being shared on Twitter? How much traffic is Twitter sending my way? How well are my Tweet Buttons are performing? Well the folks at Twitter are working on answering your questions. 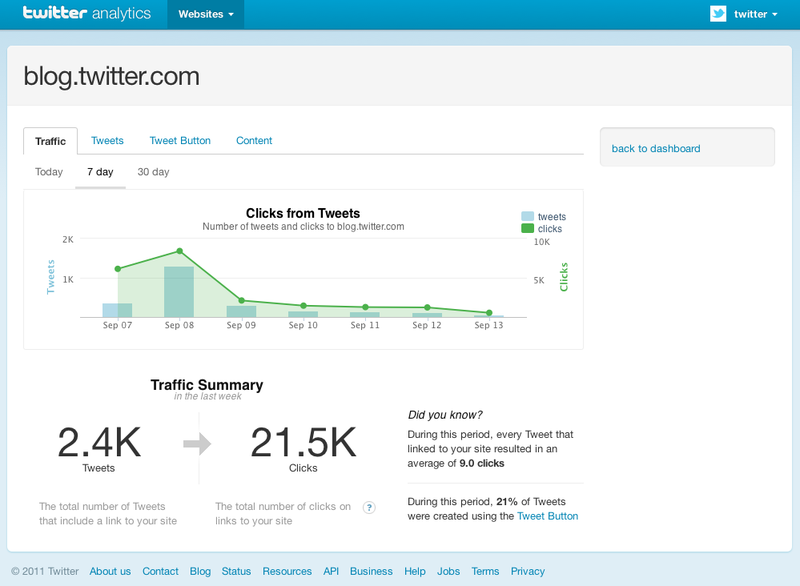 They have announced the upcoming release of the new Twitter Web analytics which will be completely free and show you a tangible impact of your tweets. We’ll be sure to keep you posted with a full “how-to” once this new product is released.